Most hospitals don’t have good ways of measuring the complex costs associated with an individual patient’s stay in the hospital. The VA is one surprising exception. The success of health reform in the US depends on finding ways to control the growth of costs. Hospital care is expensive. And when patients have to be readmitted unexpectedly after discharge, it can really crank up spending. As we strive to keep health care costs in line, reducing hospital readmissions is drawing a lot of attention. Reducing preventable readmissions could reduce health care spending and improve quality of care at the same time. But very little research on readmission costs has been done. An exception is a study that found that one in five elderly Medicare patients is readmitted to the hospital within 30 days of being discharged, at an estimated cost of $17.4 billion in 2004. Most hospitals don’t have good ways of measuring the complex costs associated with an individual patient’s stay in the hospital. But there is, however, a hospital system that does a very good of job of tracking these costs: the Veterans Health Administration. The Veterans Health Administration (the VA) operates 119 acute care hospitals across the US, and has created an unparalleled comprehensive patient-cost accounting system, its Decision Support System (DSS). The DSS works from the bottom up by summing the individual resources and costs each individual patients winds up needing during their hospital stay. Unlike most other hospital accounting systems, the VA DSS also can separate costs that are fixed regardless of the volume of services provided, such as administrative overhead, from costs that vary with service volume, such as lab tests or imaging. All of this means that the VA can track patients’ costs with greater precision than most hospitals, and can more easily see the cost of readmissions. There are other reasons why VA is a good setting for studying readmission costs. VA hospitals have a simpler set of incentives around readmitting patients. Under Medicare, hospitals face a trade-off between receiving payments for readmitting Medicare patients and avoiding payment penalties for not readmitting patients under the new ACA regulations. But in the VA system, budgets are set annually, so there is no financial incentive to readmit patients. It will not increase the amount of money VA hospitals get. And physicians who work in VA hospitals are salaried VA employees. They do not gain financially when they readmit patients, so they have no incentive to provide unnecessary care. How much money does preventing readmission save? In a recent study, Theodore Stefos and I used 2011 Decision Support System data to examine the component of cost that varies with a readmission, to provide hospital managers with a more realistic estimate of how much they could save by reducing readmissions. We found that managers could expect to save $2,140 for the average 30-day readmission prevented. For heart attack, heart failure, and pneumonia patients, expected readmission cost estimates were higher: $3,432, $2,488 and $2,278 respectively. We also found that patients’ risk of illness was the main driver of expected readmission cost. This is an important finding for managers. Even though this is a factor they cannot control, they can expect that patients with a greater risk of illness might be at greater risk after controlling for other factors such as age. Men also were much more likely to be readmitted than women, as were lower income and unmarried vets. Understanding this information can help hospital managers better predict which patients are at risk for readmission, and to take steps to address this proactively. While the VA has some processes of care that differ from other health care systems, its experience has important lessons for private sector hospitals, especially for those that treat a high share of chronically ill or low-income patients. Today hospitals are under increasing pressure to curb readmissions. For instance in 2013 Centers for Medicare & Medicaid Services (CMS) started to financially penalize hospitals for 30-day readmissions that exceed national averages for heart attack, heart failure and pneumonia. As of October 2014, chronic obstructive pulmonary disorder and elective knee and hip replacements are also being targeted and the penalty has increased up to 3% of the total Medicare reimbursement to the hospital. Hospital managers would like to know what actual cost savings are when a readmission is avoided, so they can understand how readmissions affect their overall budgets. This post originally appeared at The Conversation. Follow@US_conversation on Twitter. John Kelly oversees IBM’s research labs and new initiatives. IBM is taking its Watson artificial-intelligence technology into health care in a big way with industry partners, a pair of acquisitions and an ambitious agenda. The initial three industry partners are Apple, Johnson & Johnson and Medtronic. On Monday afternoon, after the close of stock trading, IBM also announced it would buy two start-ups: Explorys, a spin-off from the Cleveland Clinic whose data on 50 million patients is used to spot patterns in diseases, treatments and outcomes; and Phytel, a Dallas maker of software to manage patient care and reduce readmission rates to hospitals. The IBM plan, put simply, is that its Watson technology will be a cloud-based service that taps vast stores of health data and delivers tailored insights to hospitals, physicians, insurers, researchers and potentially even individual patients. “We’re going to enable personalized health care on a huge scale,” said John E. Kelly, a senior vice president who oversees IBM’s research labs and new initiatives. To date, IBM has done some individual projects using Watson technology with leading medical centers, including Memorial Sloan Kettering Cancer Center in New York, the University of Texas MD Anderson Cancer Center in Houston and the Cleveland Clinic. But the creation of the Watson Health unit, Mr. Kelly said, is an effort to apply the technology to the mainstream of health care. And while IBM has been commercializing Watson technology with tools for mining Twitter, weather and Internet of Things data, Mr. Kelly said Watson Health was the first move into a specific industry. The Watson Health announcement is also the latest in flurry of initiatives IBM has announced this year that include new corporate partnerships as well as moves in cloud computing, data analytics and Watson. They are evidence that IBM is intent on investing for future growth, and showing it is doing so, in a year when its financial performance is likely to lag. IBM has reported disappointing earnings recently, and Virginia M. Rometty, IBM’s chief executive, has told industry analysts and investors that 2015 would be a transition year in which new growth businesses like Watson did not yet overcome the profit erosion in some of its traditional hardware and software products. IBM’s broad vision of combining and analyzing health data from varied sources to improve care has been around for decades. But the company and its partners say that technology, economics and policy changes are coming together to improve the odds of making the IBM venture a workable reality. They point to improvements in artificial intelligence, low-cost cloud computing and health policy that will reward keeping patients healthy instead of the fee-for-service model in which more treatments and procedures mean more revenue. A focus of the Johnson & Johnson partnership with IBM will be improving patient care before and after knee and hip replacements. The company will apply Watson technology to data sources ranging from patient records to digital fitness devices and smartphone applications, which can monitor movement and vital signs. “It will allow us to do much more integrated, personalized care,” Ms. Peterson said. Medtronic, a large medical equipment maker, wants to use data intelligently to treat diabetes patients beyond providing them with its glucose monitors and insulin pumps. Medtronic devices are already digital and produce a lot of data, but the company plans to use the Watson software to spot patients trending toward trouble and automatically adjust insulin doses and send alerts to care providers and the patients themselves. “The goal is dynamic, personalized care plans so you can delay or stop the progression of diabetes,” said Hooman Hakami, executive vice president in charge of Medtronic’s diabetes group. Apple is increasingly a major supplier of health sensors, from iPhone apps to the Apple Watch. Its recently introduced HealthKit and ResearchKit software make it easier for applications and researchers to harvest health information from millions of owners of Apple products, with their permission. That data can now be plugged into Watson. “We want to be the analytics brains behind HealthKit and ResearchKit,” Mr. Kelly said. The IBM initiative raises questions on how data is handled and about privacy. Mr. Kelly said the data scrutinized by Watson will typically be anonymized and often be read by Watson but not removed from hospital or health company data centers. “There will be no big, centralized database in the sky,” Mr. Kelly said. The ability to transfer electronic medical records from one doctor or hospital to another is essential to the smooth functioning of the health care system and to providing the best possible care to patients. Yet all too often these transfers are being blocked by developers of health information technology or greedy medical centers that refuse to send records to rival providers. This will not be an easy problem to fix, but some possible approaches were detailed in a report to Congress last week from the Office of the National Coordinator for Health Information Technology, a unit of the Department of Health and Human Services. The full extent of the problem is difficult to assess, according to the report, mainly because of contractual restrictions imposed by software developers on their customers. Even so, the office deduced from various sources — including customer complaints and interviews — that some software developers and medical centers have deliberately blocked the sharing of information. It did not name the parties because it could not determine with any certainty whether some of the information was blocked for legitimate reasons, like concern for patient privacy. The motivations for hoarding or restricting data appear to be mostly business-related; for instance, companies lock customers into costly proprietary technology and often charge exorbitant fees for sending or receiving information. Some hospitals, critics say, won’t share information with doctors outside their own networks, lest they lose control of the patient and erode their dominance of a local market. Larger hospital systems that share health information internally sometimes won’t do so with competing hospitals and unaffiliated providers. The report suggests some ways to combat information blocking, including new transparency requirements (already in the pipeline) for developers to disclose the restrictions and costs associated with buying their systems. There are additional steps the federal government could take on its own. For example, it could name the suspected wrongdoers and let them explain the reasons behind their actions. Congress could go still further and pass a new law providing criminal penalties and stiff fines for vendors and providers who deliberately block information sharing with no valid excuse. The federal government has invested some $28 billion to convert hospitals and health care professionals to electronic health records, with gratifying results. More than half of the nation’s doctors have adopted electronic health records. 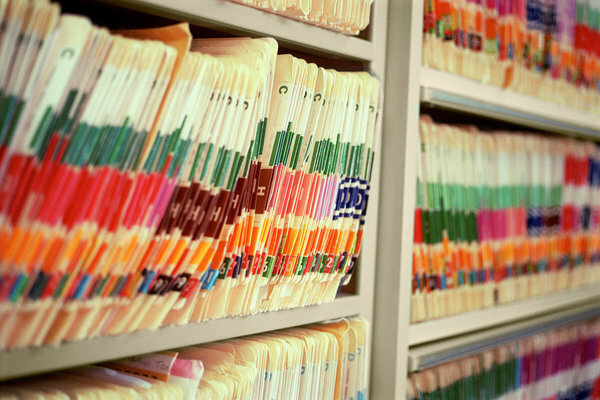 It would be a shame if limitations on their ability to send and receive digital records undercut national efforts to improve the quality of care.